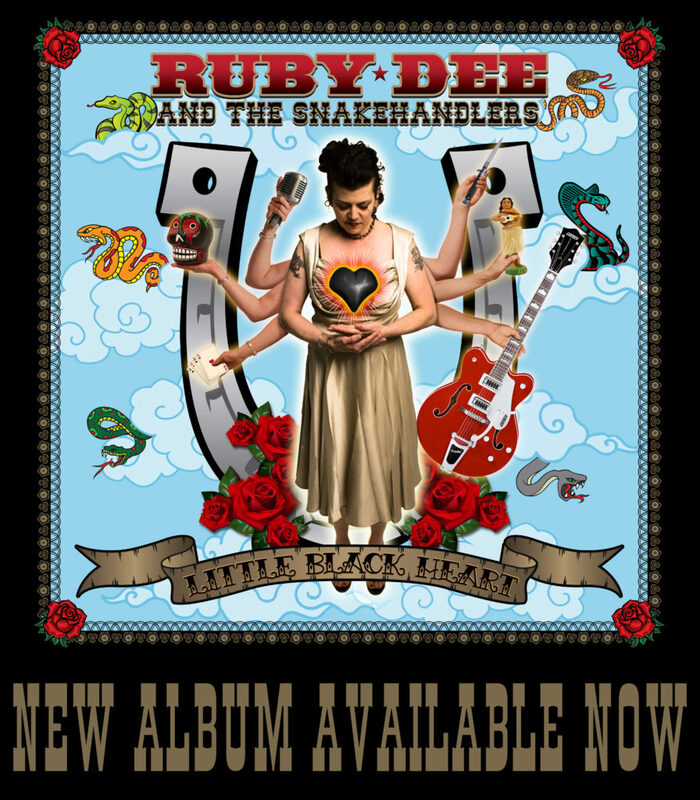 Ruby Dee’s larger=than-life personality is all over this high-stepping, honky-tonk frolic– an observation that can be accurately offered about all of her works, rousing and light-spirited as they dependably are. And it advantages her immeasurably that ace players have her back. Indeed, their robust zeal alone demands hearty salute. This entry was posted in Reviews and tagged catty town records, little black heart, rockabilly, ruby dee, ruby dee and the snakehandlers. Bookmark the permalink.